class="MsoNormal" style="text-align:justify">Oliver Jones, who turned 75 this month (9-11-09), has always played second fiddle to Oscar Peterson amongst mainstream Canadian jazz pianists, although he's widely admired by his countrymen, winning several Juno Awards and the 1990 Prix de Oscar Peterson, among other honors. Like Peterson, Jones was born in Montreal, and even studied piano with Oscar's sister Daisy, as did Oscar himself. Jones didn't begin focusing on jazz until the early '80's, having been the musical director for the Jamaican pop singer Ken Hamilton from 1962 until 1980. 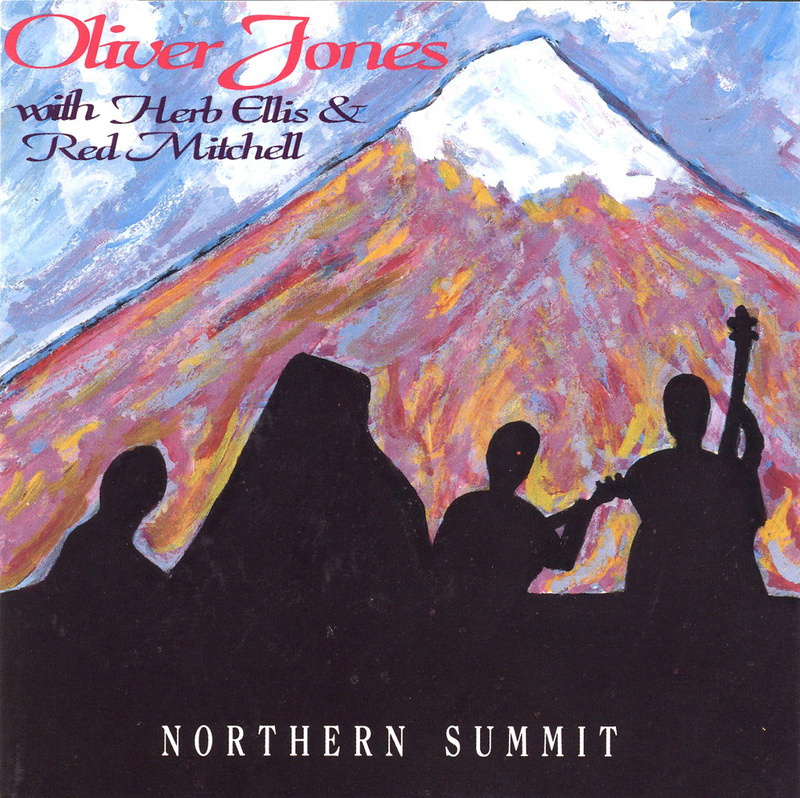 The Northern Summit album is one of his many for Canada's Justin Time label, and the instrumentation on it resembles that of Peterson's trio in the '50's, with Herb Ellis simulating his role with Oscar and Red Mitchell taking the place of Ray Brown. The rapport between these three musicians on the opening track, "I Love You," is exceptional. Jones bouncily expounds upon the Cole Porter theme with Ellis breezing lightly through the bridge. The pianist's solo is backed at first by a percussively tapping Ellis in the manner of Tal Farlow, as Mitchell churns out deeply resonant bass lines. Jones' richly voiced chords and shimmering runs show little obvious sign of Peterson, his acknowledged greatest influence. Ellis solos with his customary twangy tone and agile bluesy runs, bending notes for added color. The clearly articulated formulations of Mitchell's compelling improv explode from his specially tuned (in fifths) bass, with never an instance of hesitation or murkiness. Jones and Ellis exchange passages and then engage in elaborate contrapuntal weavings, and finally, after completing another thematic reading, a tirelessly inventive and jubilant out chorus.